9500 square feet of open-plan artist studio / work spaces starting at $200 per month. 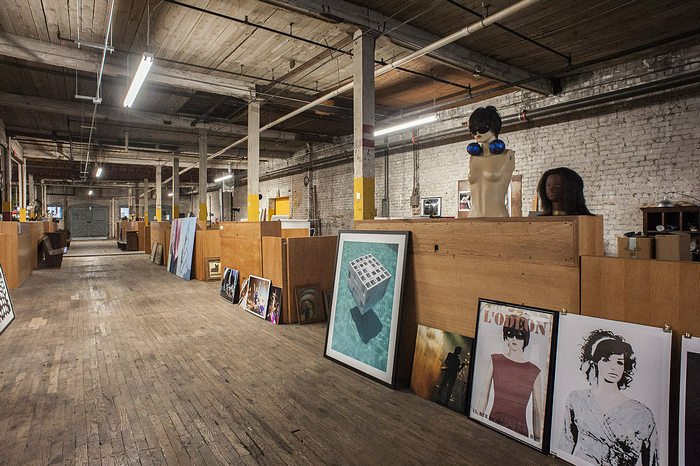 Abrams is an open-plan artist studio space, exhibition gallery, and filming location in the historic 100+ year old Abrams Fixture Corp. building in Atlanta’s West End. With 9500 total square feet, 14 foot ceilings, oversized barn doors, and loading dock, it’s the perfect place for the working artist, photographer, or designer; creative collaborator; film & TV services provider; and anyone else looking for a cool place to work at their own business while surrounded by inspired and visionary people. Click here to learn more about our artists, artisans, and craftspeople! Keep up with news and announcements on our News page. See lots of pictures showing the empty space and building stages here. Want to take a tour? Give us a call at 617-331-0127 or 678-643-6678. We are usually on site M-F 10-5, but often later and on weekends also. Let us know when you want to come by so we can make sure we are not out on a run. Want to learn more? Come visit us! We are inside the Abrams Fixture Corp. building, in the back side off Bluff Street. When driving south on Northside (so that the building is on your right), turn right on Wells and then right on Bluff. You'll see a large gate - go through and drive up the hill. We are on the right .